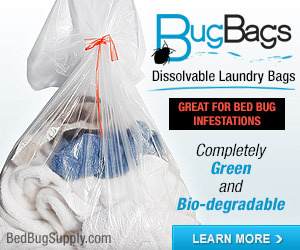 Bug Girl helpfully points us to some excellent new resources on bed bugs and pesticide resistance. Dr. James Crow, Professor Emeritus of Genetics at the University of Wisconsin – Madison, was a pioneer in the research of pesticide resistance in the late 1940s, and was a founder of the fields of population genetics and molecular evolution. Interestingly, Dr. Crow lived in a house with bed bugs as a grad student in the 1930s, a problem the house residents eventually solved with cyanide gas fumigation. You can watch a 11.5 minute podcast interview in which Dr. Crow talks about about his research on pesticide resistance and evolution, below. The video was produced by the National Evolutionary Synthesis Center (NESCent). 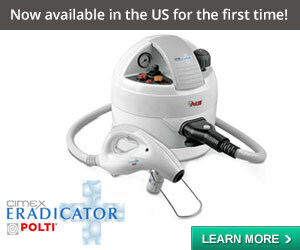 (Click here to watch on YouTube if the embedded video is not visible). See also this article in Understanding Evolution that NESCent directs readers to. 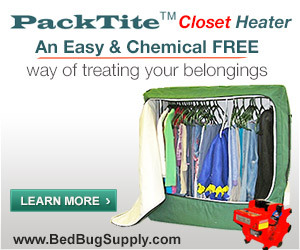 Bed bug populations have been primed with the right sort of genetic variation by their evolutionary history — a history which includes extensive exposure to a different insecticide, DDT. Like pyrethrums, DDT kills insects by acting on the sodium pores in their nerve cells — and it just so happens that many of the same mutations that protect an insect against DDT also happen to protect it from pyrethrums. When DDT was first introduced, such mutations were probably extremely rare. 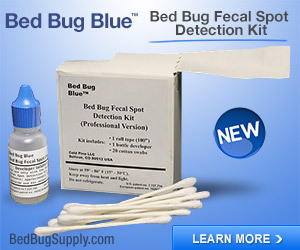 However, with the widespread use of DDT in the 1950s and 60s, such mutations became much more common among bed bugs through the process of natural selection. 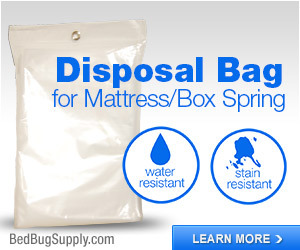 Though DDT is rarely used today because of its environmental effects, these mutations have stuck around and are still present in modern bed bug populations. 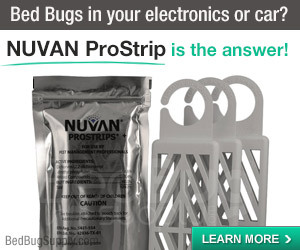 Because of the action of natural selection in the past (favoring resistance to DDT), many bed bug populations today are primed with the right sort of genetic variation to evolve resistance to pyrethrums rapidly. In other words, the genetic mutations which allowed some bed bugs to be resistant to DDT are also what allow today’s bed bugs to become pyrethrin-resistant. The article and the podcast both stress how very quickly this evolution occurs. 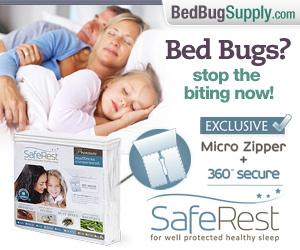 And note, bed bugs can become resistant to other pesticides, too. All the more reason for throwing our energy into increasing awareness about prevention and detection, improving methods of early detection, and making non-chemical approaches to treatment such as heat more available and affordable for everyone. 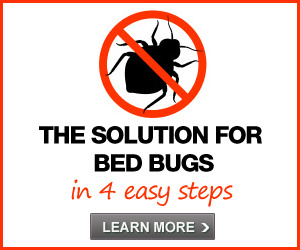 Unfortunately, non-chemical approaches to bed bug treatment are not the most common approaches used today against bed bugs. The majority of people are forced for financial reasons to take the option of pesticide treatment. Even if it is not always cheaper in the long run, it appears to be so, because customers often pay for single treatments or an initial course of 2-3 treatments, which often cost less than heat treatment. And while pesticides can be used properly and effectively, pesticide applications done badly may be the least effective treatments of all. 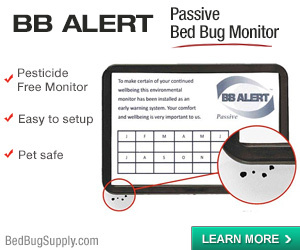 “Pray-and-spray” treatments done by “baseboard jockeys” who may overuse and misapply chemicals, can both allow bed bug problems to persist and at the same time, increase problems with pesticide resistance. College or HS science teachers out there may also be interested in Understanding Evolution’s “discussion and extension questions” (for advanced students) or the “related lessons and teaching resources” for grades 9-12, both of which also follow the article. 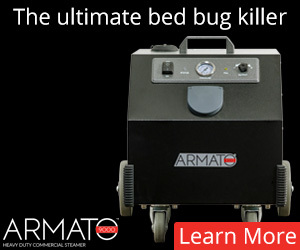 Please get more smart, eager young people interested in bed bug research; we need all the help we can get in this fight. …concerning cause of development of the Drosophila fruit flies’ resistance to DDT: I believe narrator Kristin Jenkins precisely misstates a crucial point made by Professor James Crow. • from genes created by mutations happening in the population of flies in real time coinciding with development of the resistance after the flies first encountered the DDT in the experiment. But then Ms. Jenkins, from 5:13 to 5:37, makes it sound as though the resistance to DDT arose from mutations some of the flies had during the period of the experiment. This, I believe, is the exact opposite of the point which Dr. Crow has just made and is an extremely important point. In fact I think this point is central to any understanding of evolution across the board. And in fact I think a misunderstanding of this point is, right now, practically universal in discussions throughout the mass media about evolution, and has been for a long time. I’m not a geneticist or even a biologist but once upon a time I took a genetics course or two and it’s a remarkable field. An essential aspect of genetics is something called “recombination”. Recombination means that genes already present in a population of organisms, but not currently active/expressed in the organisms, or at least not currently active/expressed in most of the organisms, become active and express themselves throughout all or most of the population of organisms, over what can be a very short time frame, in such a way that the organisms change their physical characteristics in some fashion in adaptation to some new condition(s), i.e. enabling the organisms to evolve and thereby survive in, and perhaps even thrive in, the new condition(s) which otherwise might have killed them off. What’s important to understand is, the genes newly expressing themselves are not necessarily of recent vintage and in fact may have, if not probably have (statistically speaking), already been present in the species for thousands or millions of years. In particular these genes are NEVER (in terms of statistical likelihood if it’s a short time period) created quickly on the run as the result of mutations happening after the new conditions arise, enabling the species to make the current adaptation for survival. The reason the genes express themselves this way is, of course, natural selection. It’s because, in the case of the fruit flies, most flies don’t happen to have a set of genes, i.e. a “combination” of actively-expressed genes, that allows them to survive DDT so the DDT kills them. Only a tiny percentage of the flies happen to have, by random circumstance, some particular combination of actively-expressed genes (could be any one of many such possible combinations) (any of which might have been considered, up until that time, in effect “oddball” combinations) such that the DDT doesn’t kill them. So the latter group of flies survive and become the new ancestors of the next generations of flies. As a result, many or most or all of the individuals in the new generations of flies have this combination of genes which was not predominant before (and in fact might have been considered “oddball” as just mentioned). I.e. a “recombination” of genes has now occurred such that this new combination is now the norm as to what gets actively expressed in the fly population, which enables the fly population to make the adaptation and survive the DDT. To reiterate: this happens because of genes already previously present in the population of organisms – in its “gene pool” if you will – not because of new genes created through mutations during the current adaptation episode. I.e. when the flies adapted to DDT and become resistant to it within a few months’ time in Professor Crow’s experiment, it was because of recombination NOT because of (currently happening) mutations. IF THE FLIES HAD HAD NO MUTATIONS WHATSOEVER AFTER FIRST MEETING THE DDT IN THE EXPERIMENT, THE POPULATION OF FLIES AS A WHOLE WOULD STILL HAVE BECOME RESISTANT TO THE DDT 100.00% JUST AS QUICKLY, THROUGH RECOMBINATION OF GENES ALREADY IN THEIR GENE POOL. (5) mutations do not “coordinate themselves together” to yield complex biological benefits to the organism/species they occur in…especially not over short periods of time! This is the same as saying that, during the period of Professor Crow’s experiment with DDT on the flies, the flies would have had some mutations but the mutations would have been random, with an extremely low chance that even any single one of the mutations would contribute favorably towards helping the flies survive the newly-encountered DDT. And even if one or two such very unlikely mutations happened, by extraordinary luck, to favor the flies’ surviving DDT, that wouldn’t be enough – survival would only happen VIA CURRENT MUTATIONS ALONE if dozens, or hundreds, or thousands, of such mutations, each one by itself extremely unlikely to happen, all favorable towards the flies’ survival and linking up with one another in complex biochemical “teamwork” to that end, would occur just during the crucial period of a few months. So the odds against this happening are truly far greater than astronomical. No, it was the backlog of genes *already in the flies’ makeup* from millions of years of prior evolution that enabled them to become resistant to the DDT. And it’s such backlogs of pre-existing genes, not current mutations, which are enabling bed bugs, via recombination, to become resistant to all the various chemicals we are throwing at them right now. Sorry 🙂 but I had to say something here, in case I could make some small contribution towards beginning to clear up this great current confusion at large about the role of recombination vs. mutations in evolution. 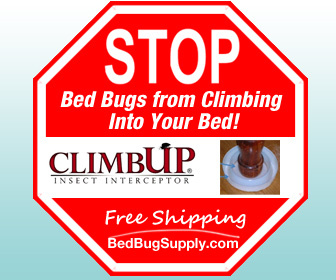 By the way, this is all in hearty agreement with the notion that yes, we must wean ourselves from dependence on chemicals as our principal weapon against pests including bed bugs. …likewise fails to make clear this distinction between the role of recombination vs. mutations in evolution. To properly help readers understand evolution, in my view the writer(s) (and other commentators in this field) should go right ahead and introduce the concept of recombination and explain why understanding it is so important and why it’s incorrect to ascribe (or to permit the appearance of ascribing) evolutionary adaptations, especially ones happening over the time scale of months or years, to mutations that happen during the same time period as the adaptations. The following passage, in particular, neglects to put what I think is a necessary spotlight on the concept that the genetic attributes enabling bed bugs to survive pyrethrins (and DDT) have likely already been present in the bed bugs’ collective constitutions for eons – they haven’t just come into being recently due to mutations after humans started to use those substances against the creatures – it’s only *the genes’ expression* which has become predominant recently, due to recombination not due to recent/current mutations. 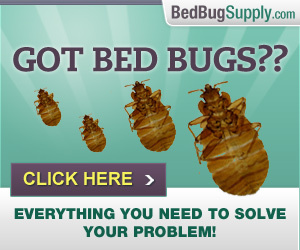 > So, how do resistant bed bugs survive pyrethrum spraying? > when the insecticide binds. > happen to be useful – in this case a bed sprayed with pyrethrum. > that every individual carries the resistance mutations…. Then subsequently, the writers bring up genetic variation as arising through evolutionary history, which is fine except that then they make it sound as though it’s the recent spraying of bugs by humans with DDT which has made the genetic variations, i.e. supposedly the mutations, happen to cause the resistance. 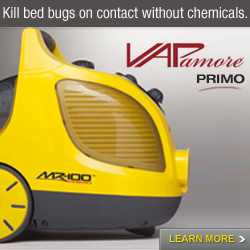 > which includes extensive exposure to a different insecticide, DDT. Again, I think this needs to be clarified so as to to impart a proper understanding of evolution. The insects, within their species as a whole, have likely already had, for millions of years, the necessary genetic pool to become resistant to pyrethrins and DDT (and other chemicals) in short order at any given time that they would be exposed to them. That ability to develop resistance, via recombination, has been there all along – it hasn’t just cropped up due to mutations occurring only in the last century since homo sapiens began to employ those substances against the bugs. Yes, Harry, we’ve heard of the stink bugs. Nasty beasts, to be sure. – Use insecticides appropriately. When selecting insecticides, consider using more than one type of insecticide taking into account active ingredients, formulations and methods of application that will help maximize the results of the treatment, and reduce the possibility of future pesticide resistance. I have been trying to sign up on the forum and haven’t been able to retrieve my password. I saw that you were the host of bedbugger and was hoping you’d have a quick idea–I’ve signed up twice and made two different names. 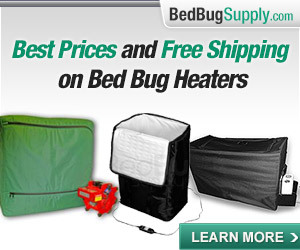 That being said, I really do appreciate all of the hard work you put into spreading the knowledge about bed bug control; I don’t know how I would even be remotely coping without this site. 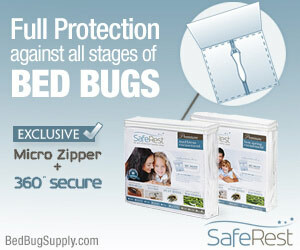 Previous post: Bed bugs found in USAID offices in Washington, D.C.